Welcome to the Ruthless World of Flick 'em Up! Dead of Winter. 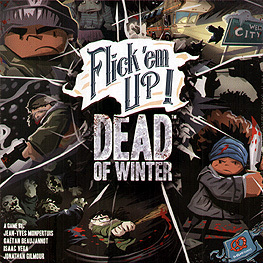 Inspired by the hit game, the survivors of the Dead of Winter universe find themselves in an action-packed dexterity game with 10 immersive scenarios.